Everyone is going to Sports Cards Plus for our "Beckett's First Local Card Sport of The Week SALE." 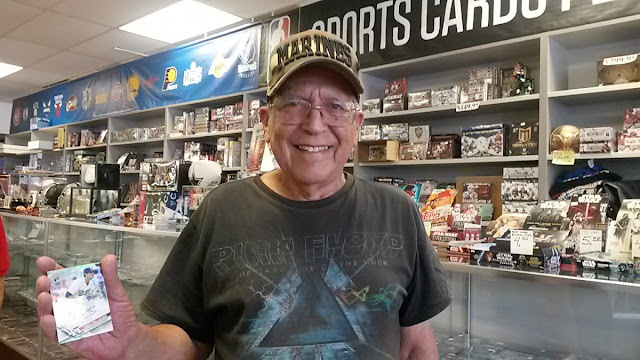 Sports Cards Plus was the very first LCS to be named "The Local Card Shop of The Week" and were celebrating with a HUGE SALE, FREE Packs and Contests. ---- FREE Panini Pack with each Panini box purchase ($49.95 or more). ---- WIN $100: Best Pull between September 15th to September 30th (based on eBay sales - Charlie decides). ---- FREE Entry to our October 31st $500.00 Drawing matching the amount of our purchase. We keep pulling drawing tickets until we reach $500. ---- FREE NFL Player of the Day Pack when you pull the Player of the Day. We've had some amazing hits this week. 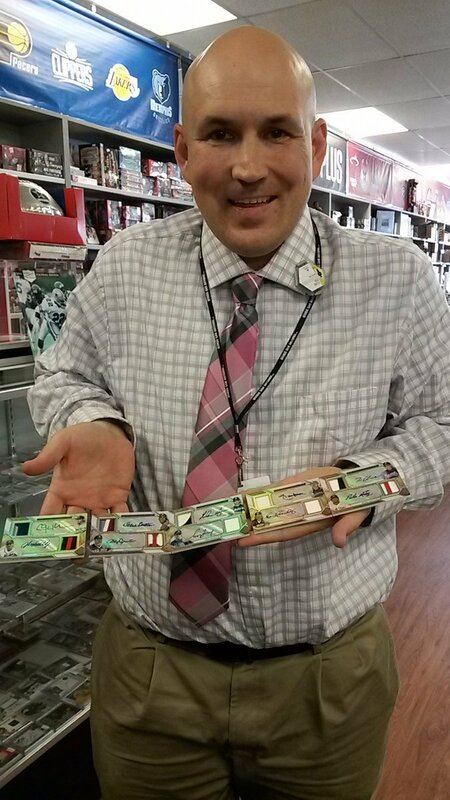 Leland opened three boxes of 2017 Topps Triple Threads Baseball. First box got him a 2017 Cody Bellinger Auto Patch RC #d/9. Second box got him a Theo Epstein Autographed Relic White Whale 1/1. And the third box was a HUGE AMAZING 2017 Topps Triple Threads Deca Auto Book Relic Combo of 9 Hall of Fame Pitchers & future Hall of Famer Clayton Kershaw. "Mr. K" (under the witness protection program so we can't disclose his identity) came in on Friday. 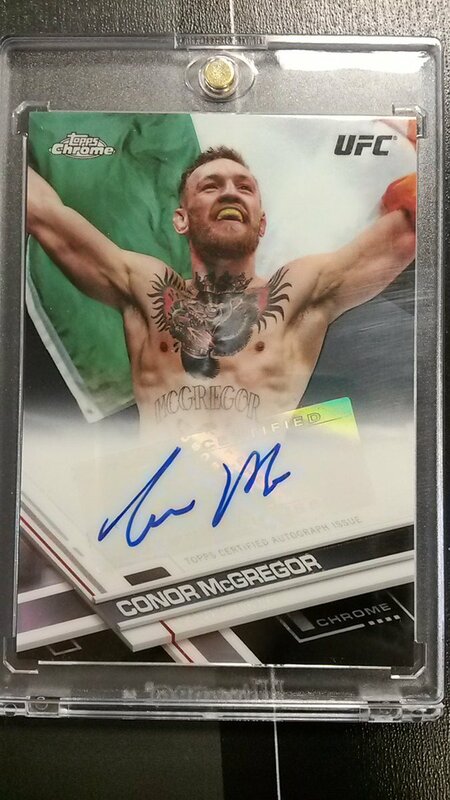 "Mr. K" decided to try TWO Packs of 2017 Topps Chrome UFC. 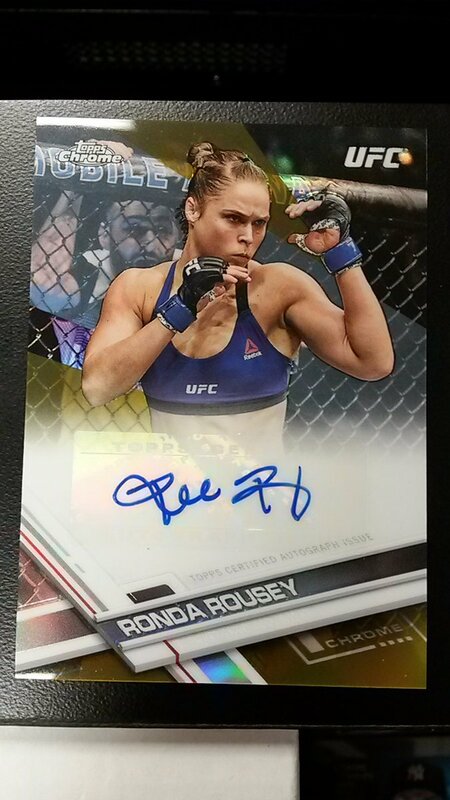 "Mr. K" knows The BEST CASES in The Hobby at The LOWEST Price in The Galaxy are at Sports Cards Plus, so he wasn't surprised when he pulled this Ronda Rousey 2017 Topps Chrome UFC Gold Refractor Autograph #d/50. You know Mike. 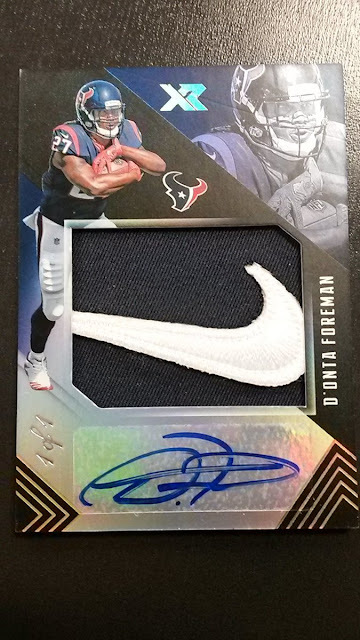 Mike has pulled a ton of Super Hits at "The Factory." It seems like every time Mike visits, he pulls a 1 of 1. 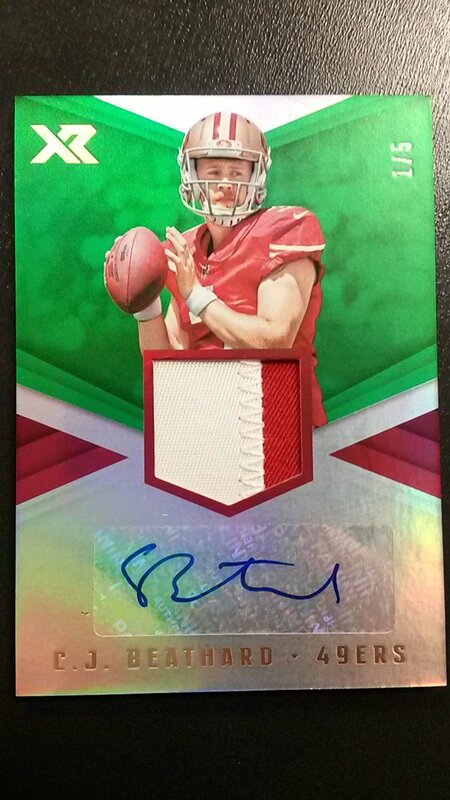 Here's another, a Kareem Hunt 2017 Spectra Monumental Materials NFL LOGO Patch Gold 1/1. What's in 2017 XR Football? Here's a couple of Super Hits from the first few boxes. What will you pull? 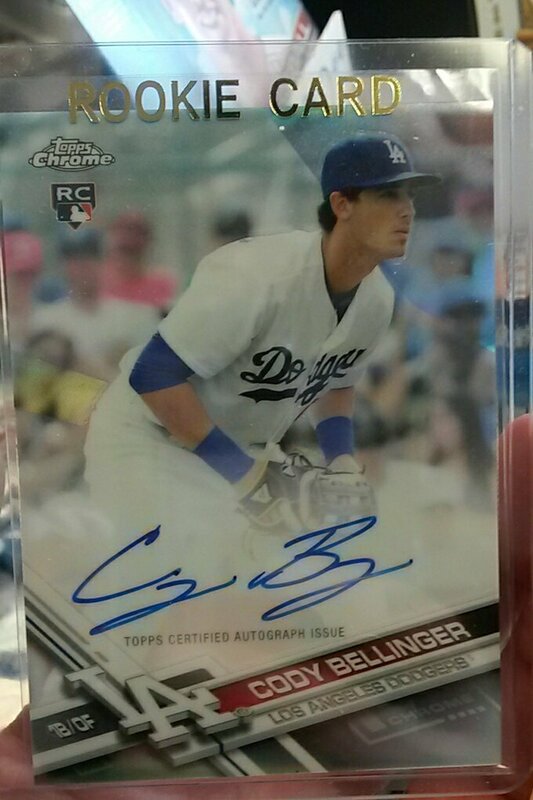 Tom pulled this Cody Bellinger Autographed Atomic Refractor RC #d/20 about three weeks ago. 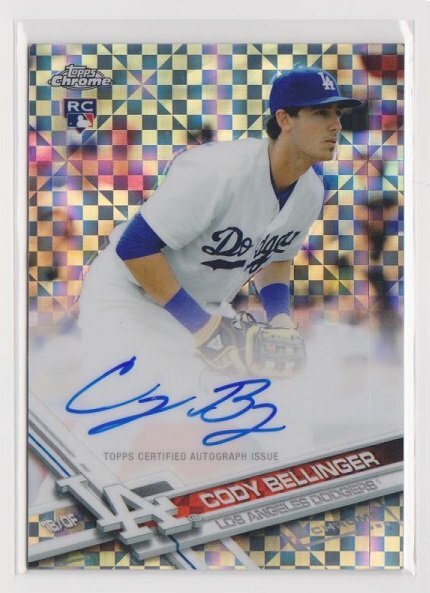 Then he came back a few days later and pulled another Cody Bellinger Autographed Refractor RC. 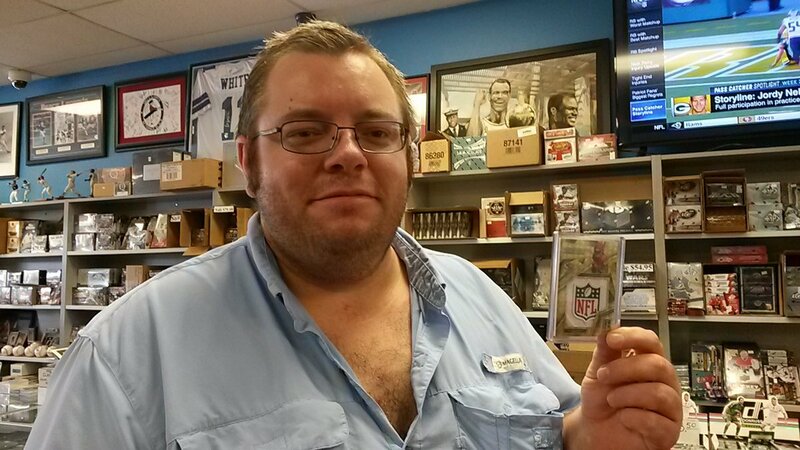 In April Tom pulled a 2016 Topps Gold Label Mike Trout Auto #d 2/3, so this year he decided to give 2017 Topps Gold Label a try and pulled a Noah Syndergaard Framed Autograph 1/1. Don't be the guy who says, "That could have been my picture." 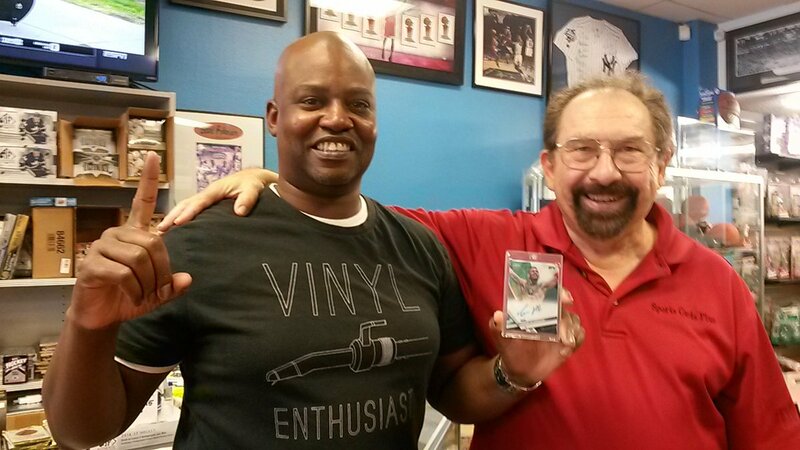 Go to Sports Cards Plus TODAY and continue The Legend of The Super Hit Factory.